Admission to the event will be FREE as this will also be a DaFlavaRadio listener appreciation party as well as Elegance Restaurant and Lounge customer appreciation. Make sure you support the new album and come out to meet ‘Mr. 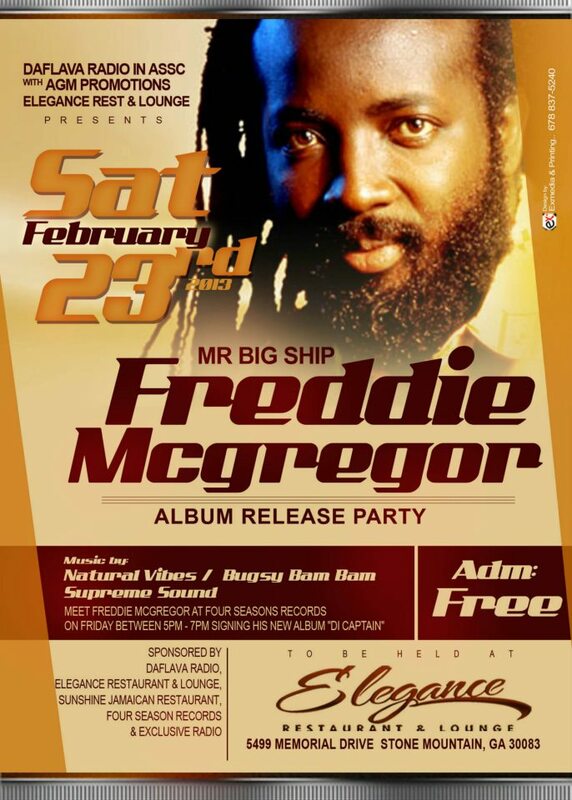 Big Ship’ himself Freddie McGregor.